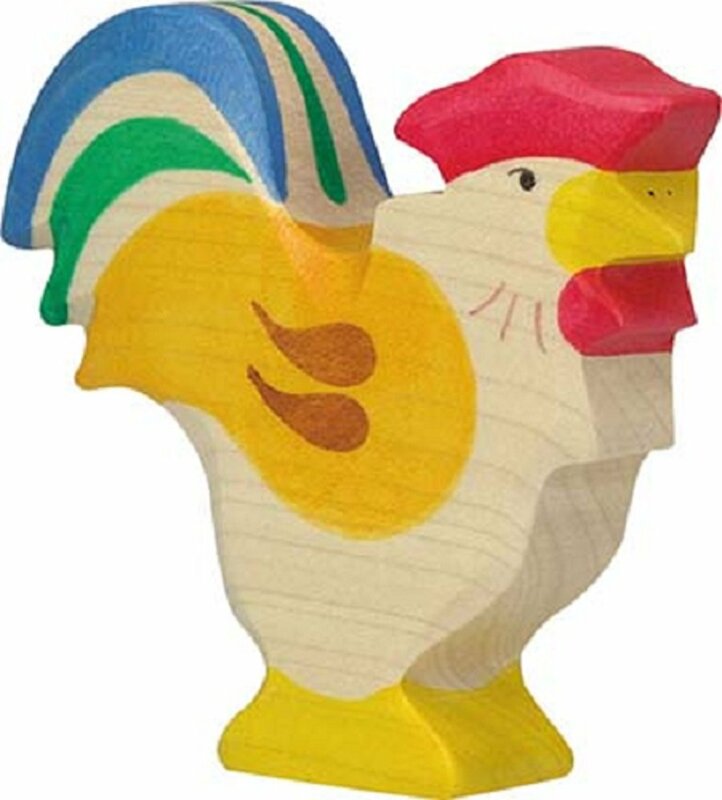 With this beautifully crafted Rooster figure made of maple wood, childrendiscover nature in a playful manner. The child develops a feeling for theaesthetics of form and color. The figures are hand painted using only non-toxic water based paints, whereby the resultant finish also resistant toperspiration and saliva. For extra safety, all sharp edges have been softened.With it's durable and classic wooden figures, Holztiger offers children thebasis for long years of creative play, either alone or in a group. Recommendedfor ages 3 years and older. Made in Europe.